There is a lot of demand on the drive chain. 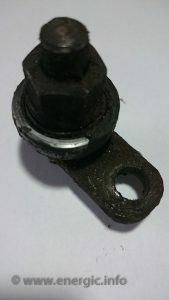 The same type of drive chain was used on Energic motoculteurs B5, C7 B4L, C7 and D9 S Bloc machines. 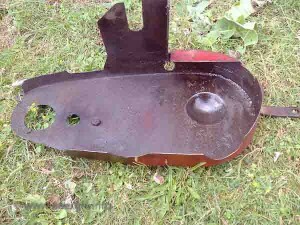 They where from the manufacturer “Yello” and where again over engineered for the process. 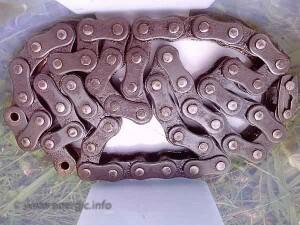 It is true to say that these chains have lasted over 80 years as long as they where lubricated on a regular basis. 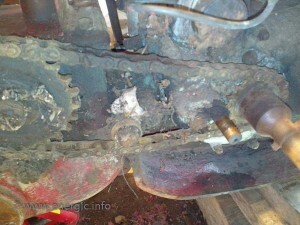 I have many machines that still have there original drive chains still in a serviceable condition. It is possible to recover even the worst chains in the poorest state with the right anti corrosion, degreasants, oil and anti flick grease available today. photos bad condition, soaking in fuel and re-oiling. and name. To keep the chain tensioned a revolving chain tensioner is used. 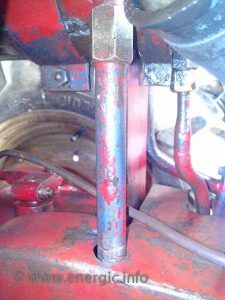 This can be altered to tension the chain due to wear on a regular basis, or when renewing a chain to set to the initial tension for optimum drive. 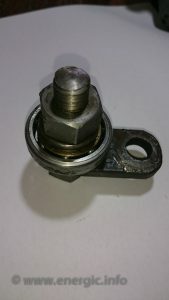 The revolving tensioner uses a 8 ball bearing race, which periodically need cleaning and packing with grease. 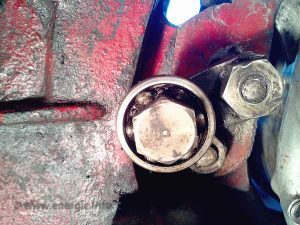 When the machine has been standing for a long periods of time in damp conditions, sometimes you will get corrosion with the contact surfaces of the drive chain and tensioner. 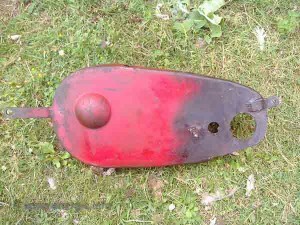 A chain guard was required to protect the chain from the worst of the weather and working conditions (mud, stones, water). 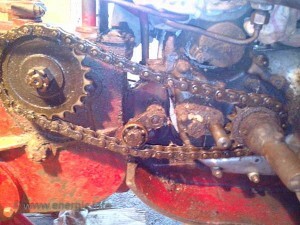 It was very securely fixed in place and difficult to remove.This made it quite difficult to maintain adequate lubrication to the chain, as access to the chain was very limited with the chain guard on. In fact many owner took this chain guard off so they could have easy access to lubricate the chain. Energic Chain guard difficult to find intact. The tin work is welded and robust. 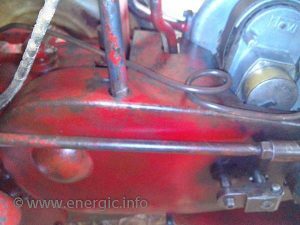 On the later S bloc models it was possible to lubricate the chain by over filling the oil reservoir, which evacuated the excess oil on to the chain under crankcase pressure. S Bloc oil pipe in situation. il pipe entrance to chain guard. 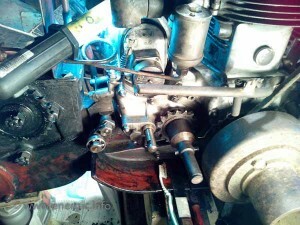 Drive chain set up with engine and pont sprockets. Chain tensioned Drive sprocket, tensioner and sprocket to pont cleaned ready for the chain.